“Good job!” “What a wonderful story!” “Your painting is beautiful!” Sound familiar? If you are like me, you have used these words to encourage children, hoping they will feel good about themselves, their work, and their efforts. Our intentions are good but what if the affect is not what we intended? What if our words leave children wondering—or even worrying—about all the times when they didn’t do a good job, or wrote a mediocre story or tore the paper when they were painting? 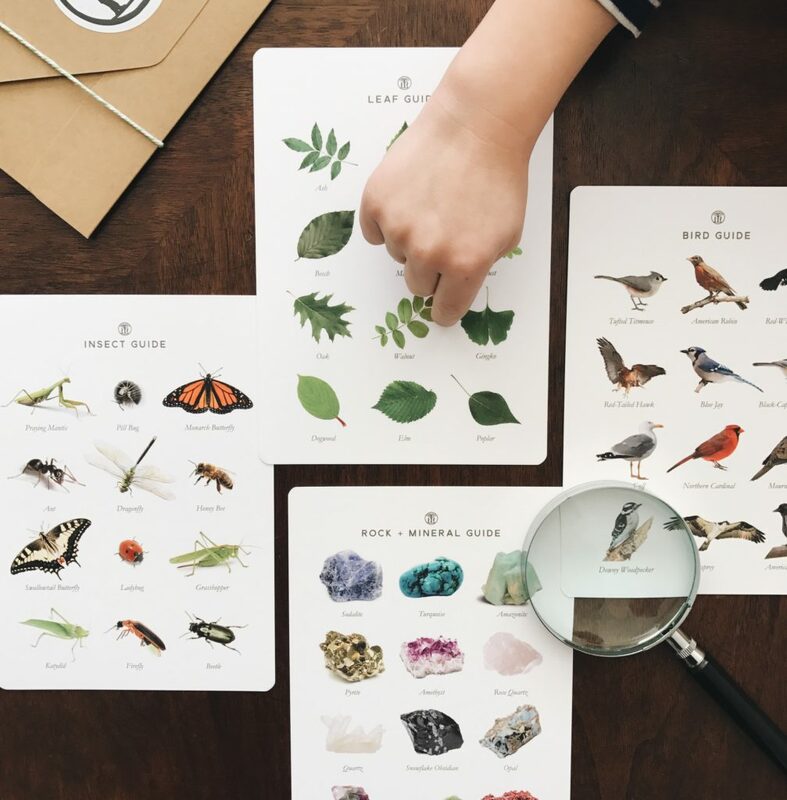 What happens next time when we aren’t there to bestow our blessing on their work? It is not our approval, evaluation or critique of a child’s work that matters. Children need to make their own conclusions and our comments should merely help inform that self-assessment. Dr. Haim Ginott (author of Teacher and Child: A Book for Parents and Teachers), famously wrote about how to communicate with children. If you are not familiar with his work, you can watch video footage of him in interviews on YouTube. He is entertaining, and his deep respect for children is very apparent. One of the topics he addressed was praise. (Adele Faber and Elaine Mazlish, authors of How to Talk So Kids Will Listen & Listen So Kids Will Talk, continue the discussion.) 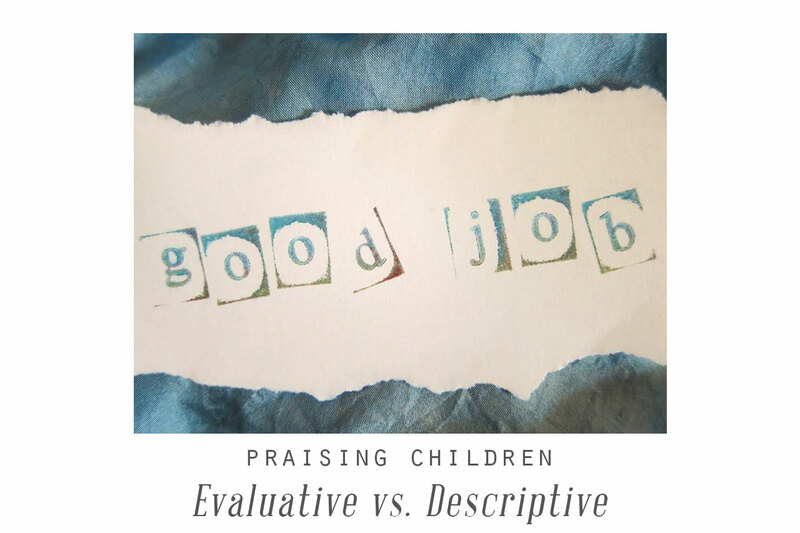 While Dr. Ginott describes various subtleties in how we talk to children, the most important message is to replace evaluative praise with descriptive praise. When we judge what we see instead of describing it, we are providing evaluative praise (e.g., good, best, perfect, beautiful, great). When we attach a character trait to a child, instead of describing what they did, we are providing evaluative praise (e.g., honest, smart, generous, helpful, hardworking). According to Dr. Ginott evaluative praise creates dependence. The child looks to the person giving the praise to determine his self-worth. Instead of judging what we see, we can simply describe what we see the child has done (e.g., mixed red and yellow to make orange, played a piece of music with crescendos in just the right places, wrote a story that helps the reader feel what the character is feeling). Descriptive praise is very specific and comes from thoughtful observation. Instead of describing an action we could describe what the child might be feeling. “You hung up your jacket all by yourself, and last month you couldn’t reach the hook. You look really pleased with yourself.” Let the child evaluate his or her own actions. 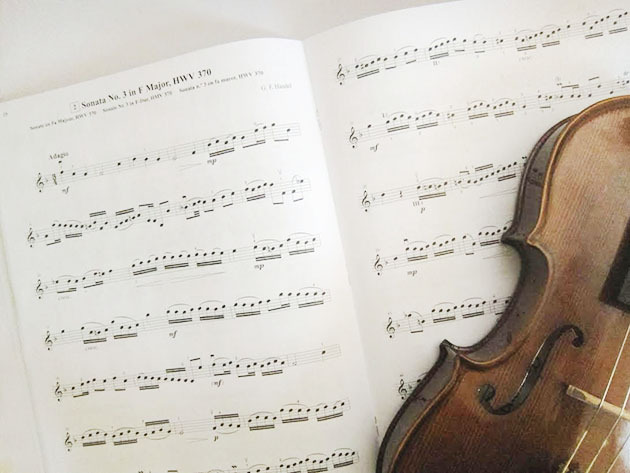 When my daughter practices her violin, it is tempting to just say, “It sounds beautiful,” but instead I really listen to her playing and I tell her I notice the way she subtly draws out just the right notes with her bow, creating a certain mood. Or when she shares her latest piece of writing, I notice her strong, unique voice in the characters she creates and the way she talks to the reader. When my 3-year-old son finishes a puzzle, I acknowledge how he feels (based on his expression): “You did that puzzle all by yourself. You must be so pleased.” When he makes up a song on his Ukulele, I notice the instrumental introduction, the way he keeps a steady beat, how he changes things up by clapping or plucking the strings instead of strumming. (His lyrics consisted mostly of bathroom words, but never mind.) You get the idea. What would I say to Shakespeare? Ginott describes how adults speak differently to other adults. If we met Shakespeare we would not say, “Wow! Great job. You used your sparkle words.” We might comment on our favorite passage or marvel at his play on words. Be observant. In order to change how we praise children, we need to really look and listen. It requires more time and more attention to detail. Take some advice from Lilly (of Lilly’s Purple Plastic Purse fame) and just say, “Wow” because sometimes that’s all you can say. And beam. Is it easy? No. Do my children want to hear how great they are? Of course. But as fabulous as they may be in my eye, ultimately they need to know their own worth.